Although many areas of the United States continue to find themselves in a drought situation, when heavy rains do arrive well owners should monitor the quality of their water because sudden hard or prolonged periods of rain can result in surface flooding that carries potentially dangerous things like pesticides, herbicides, animal waste, etc. from one area to another area very quickly. That means the flood water could possibly deposit unwanted drinking and well water contaminants near the head of water wells. Once deposited the contaminants have the opportunity to possibly enter the well cap and work their way down into the water supply and since no one requires private well owners to test their water… the contaminants could go undetected for quite some time. 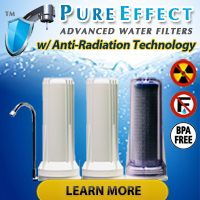 While some contaminants make their presence known in the form of gastrointestinal illness very quickly — talking about coliform bacteria here — others like heavy metals (i.e. arsenic, chromium, etc.) can build up in people’s systems and cause long-term health problems down the road. So, the next time heavy rains hit your area, do yourself a favor and perform quick tests for simple, but important, water quality contaminants like heavy metals, nitrates/nitrites, arsenic, coliform bacteria, etc. The above advice to test your well water after heavy rains matters even MORE if you have your well head located downhill from areas of agricultural activity, industrial activity, fuel stations, septic systems, etc. As moving surface water washes over those areas it carries with it anything that it comes in contact with and since water obeys gravity it will head downhill to contaminate any and everything in its path with whatever it picked up before. 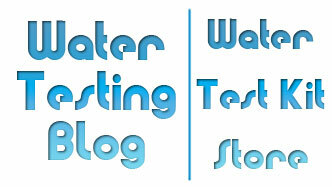 How much does well water testing cost? Sometimes after a period of heavy rain has caused flooding in an area health departments will partner with local third party water testing laboratories and put together a low-cost or free well water testing program. Therefore, in the event of regional flooding, we highly suggest contacting contacting your local health department to see what, if any, reduced cost well water testing they can recommend. If no such options exist in your area then definitely seek out the assistance of a qualified water testing lab and for routine (non post-flooding) water testing you may find some of the drinking water water test kits offered in our store both highly useful and affordable.